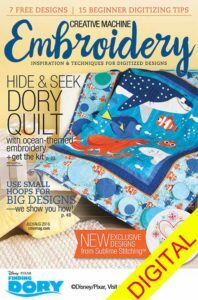 The newest issue of Creative Machine Embroidery is hitting newstands (July\August 2016) and inside you’ll find one of my latest projects….. an embellished burlap memo board. The best part? 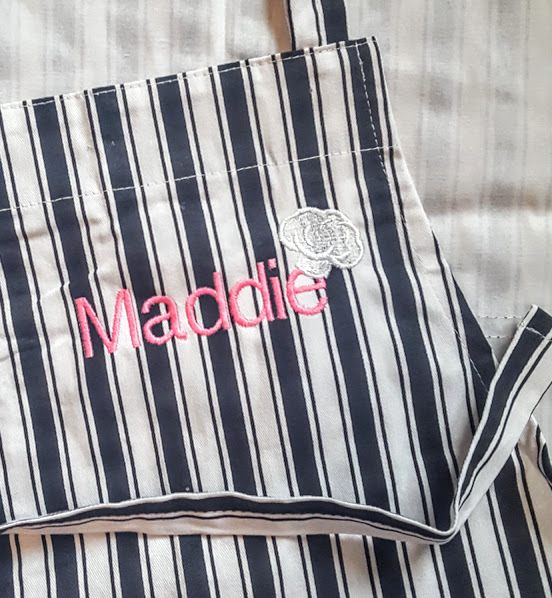 You don’t have to have an embroidery machine to whip up this project (embroidery can be optional). You don’t even need “special equipment” or even a picture frame to finish your look…. just a bit of foam core, burlap, duct tape (yes, duct tape! ), and nail heads! The end result is an elegant shabby chic memory board to pin all your favorite summer moments. Want to make it even more ‘shabby chic’? I added a fun ‘rosette’ project to the sidebar – it’s great for embellishing this project and more! This entry was posted in Uncategorized on June 28, 2016 by stacy. After buying several yards of swimsuit material this spring, I claimed, I would make all my own swimwear this year. It’s almost July and I’ve only managed to make one set…. 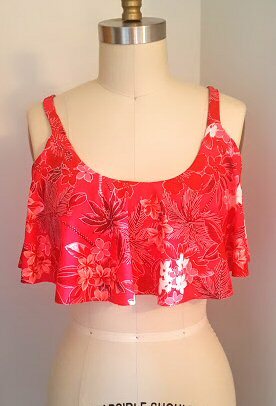 until this weekend when I finally finished a new top – The Siren Swim Top. I’ve only had experience with this pattern company one other time and the results were less than stellar (in short the bust was too tight and the top looked very ‘maternity’), but I really really wanted The Siren to work because I loved the style and everyone who had been posting about it look fabulous in it. My results? Fabulous. There are several options for this pattern, but I wound up selecting the straight flounce (with back flounce) with straight straps and no cups. Because I was skeptical about my results, I opted to make a muslin in a tropical print that’s been sitting in my stash for quite some time…. now I wish I had more of it! As for the pattern, the PDF pieces went together easily – I love that there is no trimming necessary… just tape and go! Plus, the pattern pieces went together easily when sewing and I didn’t run into any snags. Overall, it was very easy to sew – in fact, I am pretty sure a beginner could do it without too many issues. As for the fit, it’s pretty close – I think that the bands at the shoulder could be longer and, of course, the sports bra portion of the top could be longer (see above). The instructions, though, are not great. 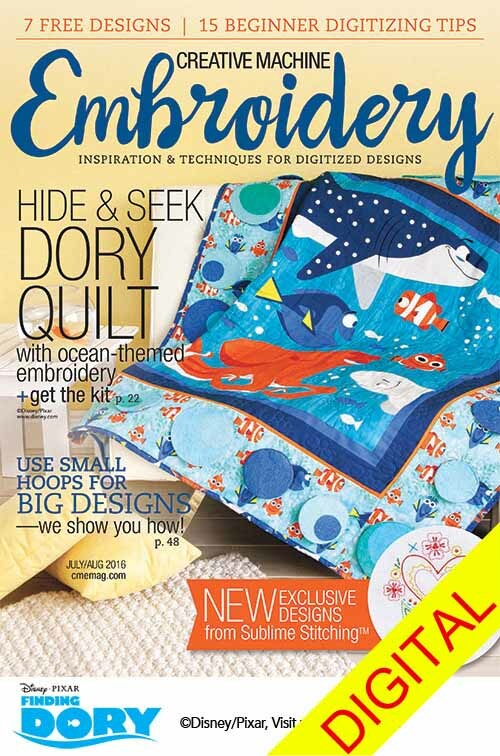 I know that you are supposed to read the directions before you sew, but with this pattern, it’s a must. First off there is the size determination. While there is a size chart, there is also supposed to be fitting for cup sizes which I could never figure out until after the fact (basically the sports bra style tank under the flounce is lengthened) so I went with the smallest one (now that it’s finished, I should have lengthened it to the third line). I also felt that the directions don’t ‘flow’ very well into each other and you’re left bouncing around the instructions trying to figure out what you’re doing next. With all that said, I’d still recommend this pattern. I also purchased the Hello Sailor Swim Bottoms as well, but I just don’t have quite enough material to make that pattern….. so now I’m on the hunt for something else that might work with what I have. This entry was posted in Uncategorized on June 27, 2016 by stacy. Last week Betz White announced her new fabric collection, Dutch Treat and today I’m thrilled to show you what I made with these fabrics…. an adorable Metro Hipster! This is one of my favorite style of bags, not only because it’s a cross-body style (I like the fact I can be hands-free while I shop, etc. ), but it’s the perfect carrying size for me (as much as I love the look of big bags, I hate the weight and I feel like Mary Poppins toting them around). 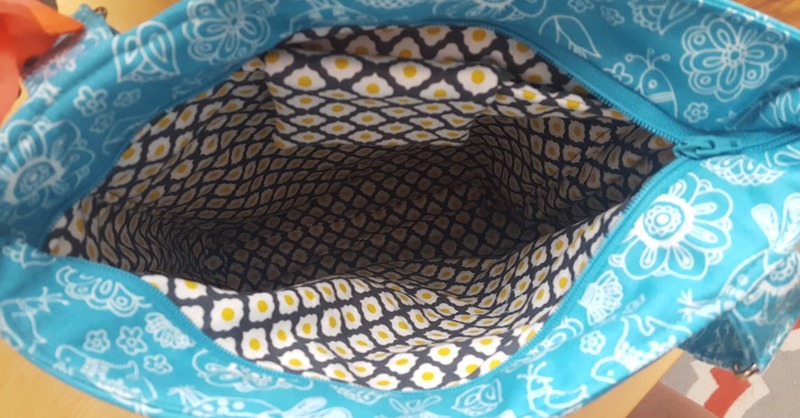 In fact, I love this fabric so much, I wish I had gotten more – it’s so cute and fun, like a stylized egg print! Since this isn’t my first time putting together this pattern, I’ll skip over the full review, but I will say it went together nicely (and I love that there’s not lots of bulk to contend with) – although I wish I would have sewn the pocket with the blue medallion lower so that you could see it in between the lobster clasp\d-ring area and not be hidden by the pocket (so the blue color would pop more in the front). Next up…. a matching wallet! I’ve been very ‘matchy-matchy’ lately and have been itching to make a wallet that coordinates with the bag I’m carrying. Hopefully with all the (predicted) rain we’re supposed to have this weekend, I can hole up in my sewing room and sew until it’s finished! This entry was posted in Uncategorized on June 24, 2016 by stacy. 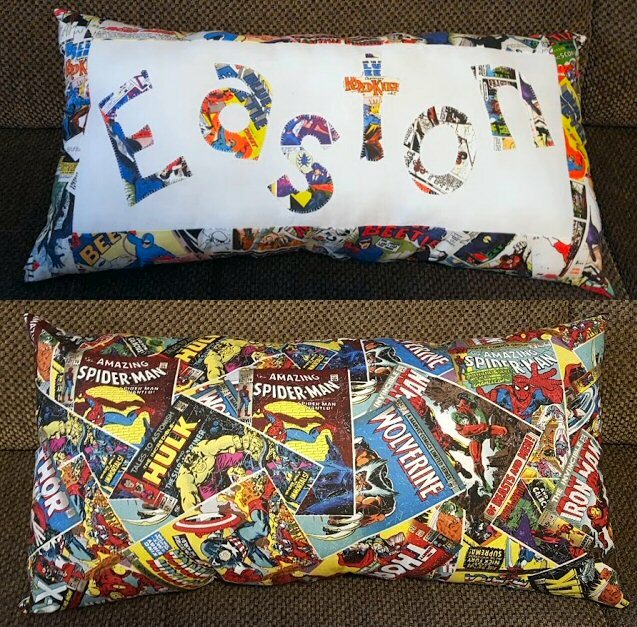 Once we started putting Easton’s new room together I realized that his old name pillow didn’t quite fit in any more. Since I had some scraps left over from making slipcovers, I decided to make a new one that works with the rest of his room. Since I didn’t have enough print to make the back of the pillow, I used a ‘modern comic’ print which is a much bolder in comparison. While the end result is cute, when mixed with the pillows I had already made, there’s a lot of that same print going on which makes it very busy. Oh well, live and learn! This entry was posted in Uncategorized on June 22, 2016 by stacy. You’ve probably heard read me complaining about Easton being hard on jeans. In fact, last school year we went through 7 pairs….. you read that right 7. He’s not much on patching them, so at the end of the school year, I’m left with a pile of denim. So what’s a girl to do with all that material? Why upcycle it, of course! My latest project at WeAllSew went live yesterday and transforms old jeans into potholders and hot pads. 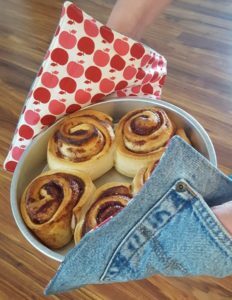 They’re quick to make, easy to stitch, and are a fun way to serve your dishes at your next potluck or summer BBQ. 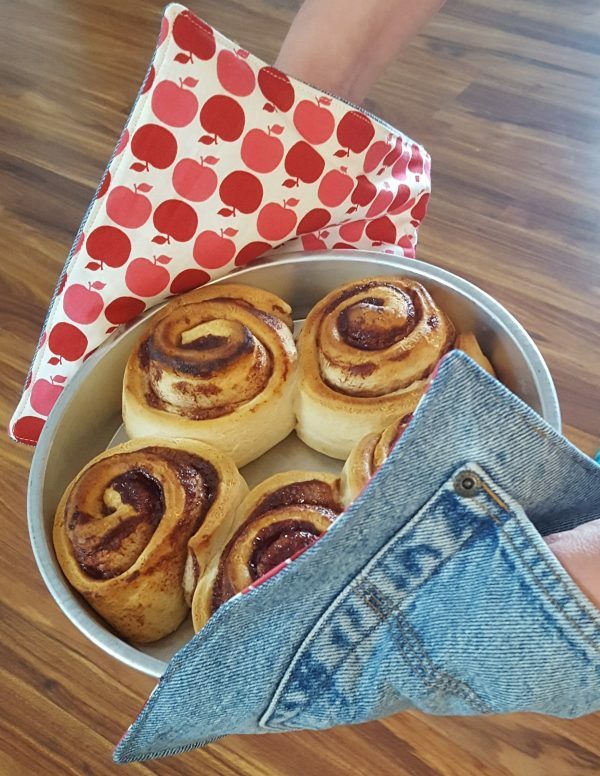 Don’t ditch those jeans, stitch them! This entry was posted in Uncategorized on June 21, 2016 by stacy. For several months, we’ve talked about changing up Easton’s room to suit his interests and personality more. We finally went to work on it this weekend which meant that I also had to move on making some throw pillows to match the theme. Since Easton loves comics, we opted to go with a comic\superhero type theme. Hobby Lobby has a great assortment of vintage superhero posters, tin and wood comic book cover art, and decor that was the basis of our inspiration. 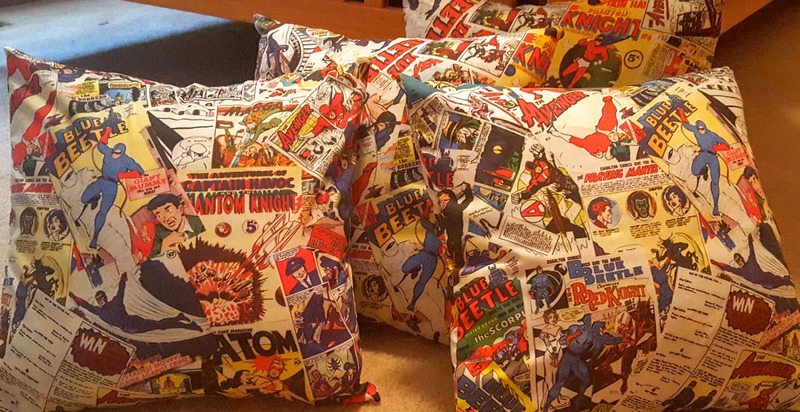 Since ‘modern’ superhero themed prints just didn’t seem to fit in very well, I turned to Spoonflower, which had a great assortment of vintage comic book hero prints. Two yards was just enough material to make 4 slipcovers (I prefer this over pillows, especially in a boy’s room because they are easier to clean) and a trim that I used to embellish a valance in his room. With the exception of hanging a couple of more things, his room if finally put together! Now that was a project! This entry was posted in Uncategorized on June 20, 2016 by stacy. Just in time for this weekend’s birthday festivities, a crop of handmade presents! To round out the rest of the gift giving, I embellished an apron (full disclosure, I got lazy and used a purchased apron) with my niece’s name and then added Embroidery Library’s Chef Hat to the end like her name was ‘wearing it.’ I think it’s adorable, but I wish that the hat wasn’t so difficult to see (and didn’t resemble a piece of cauliflower) and that I would have pushed the image over to the right just slightly. I’m pairing this up with a kid’s cookbook….. maybe I should have made a hat too? 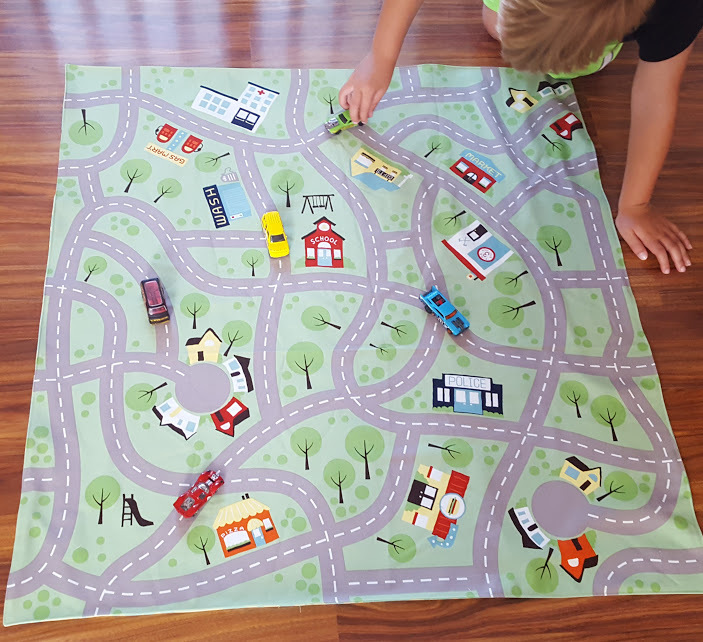 I also managed to complete a present for my nephew: Riley Blake’s Wheels 2 Road panel. I picked this canvas print up when it first released knowing that I was going to make a play cloth for my nephew’s birthday this year, so it’s been sitting in my stash for months just waiting to be used. My original intent was to use some of the leftover construction vehicles for the back of this, only to discover that I just didn’t have enough. After digging through the stash, I opted to go with a remnant from my ‘cheater pants’ project. While it’s not the juvenile print I had hoped for, the color scheme works nicely with the grass\trees on the front of the panel. 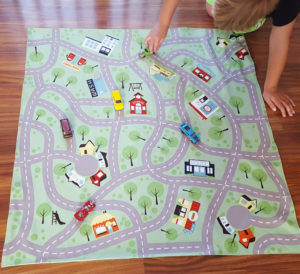 I’m pairing this up with some cars and am crossing my fingers he likes it! This entry was posted in Uncategorized on June 17, 2016 by stacy. This insulated lunch hamper is perfect for taking to work, but I was thinking it’s perfect for stashing cold drinks while out on the (very hot) ball field this summer. Father’s Day is Sunday, but there’s still plenty of time to make dad a comfy pair of pj shorts. A great basics pattern set just for toddlers. The Day Camp Set includes a shorts and tee for sizes 2T-5T. This kimono would make a great cover up for the pool or just an easy to wear jacket when lounging around the house. Leave it to Martha to find an easy way to organize your bathroom with this terry-cloth caddy. Use your favorite tank as a template to create an easy knit summer sundress (you don’t even have to hem this one). This pretty Picnic Tote is roomy enough for all your goodies and might actually be the perfect size for your next picnic! I’ve been obsessing over bags lately, especially ones that have a variety of uses. So it stands to reason that this Convertible Purse\Backpack pattern would catch my eye this morning. A fabric basket that only takes 30 minutes to make? That’s faster than going to the store and buying a gift bag for a present! Pretty dresses don’t always need complicated instructions or patterns. This slip dress is perfect for an evening out and is easy to sew. Look stylish while keeping the hair out of your face this summer. Whip up a bunch of easy elastic headbands to go with any outfit you own. I love character hooded towels. This flamingo is simply adorable. 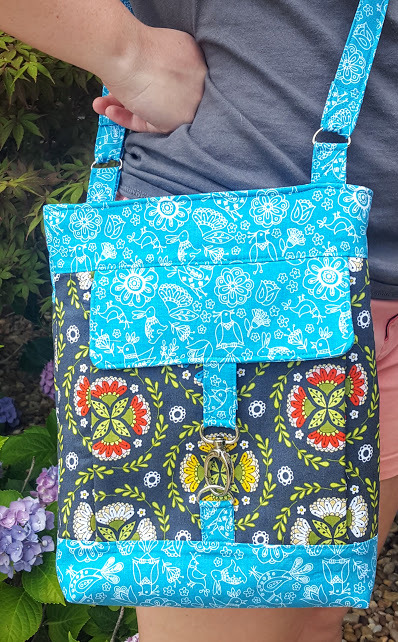 This laptop tote is a beautiful way to carry around your computer and I like that it has a ton of pockets inside! This entry was posted in Uncategorized on June 16, 2016 by stacy.